Enjoy Utah! : Groundhogs Day Information, Crafts, and Fun! Groundhogs Day Information, Crafts, and Fun! Groundhog Day is celebrated every year on February 2nd. The official groundhog lives in Punxsutawney, Pennsylvania. His name is Punxsutawney Phil. According to legend, if Punxsutawney Phil sees his shadow (the day is bright and sunny), there will be six more weeks of winter weather. If he does not see his shadow (the day is overcast), there will be an early spring. On February 2, Punxsutawney Phil comes out of his burrow at Gobbler's Knob - in front of thousands of followers from all over the world - to predict the weather for the rest of season. 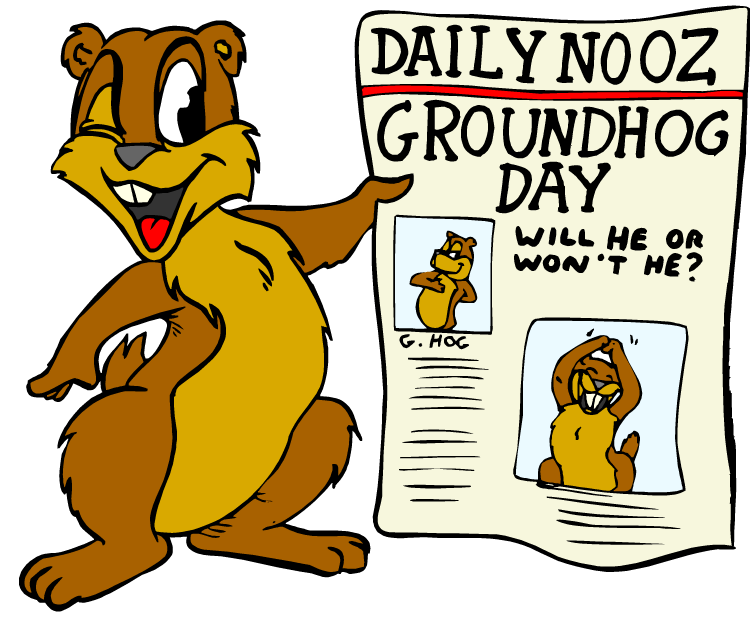 The celebration of Groundhog Day began with Pennsylvania's earliest settlers. It stemmed from a combination of religious beliefs and facts associated with hibernating animals. February 2nd is halfway between the beginning of Winter and the beginning of Spring. Watch the "Big Event" HERE! The Clark Planetarium explains how Groundhog Day has its roots in astronomy. Visit their website to read more about it. A weatherman finds himself living the same day over and over. Impress your friends with this knowledge of Groundhogs and Groundhogs Day!